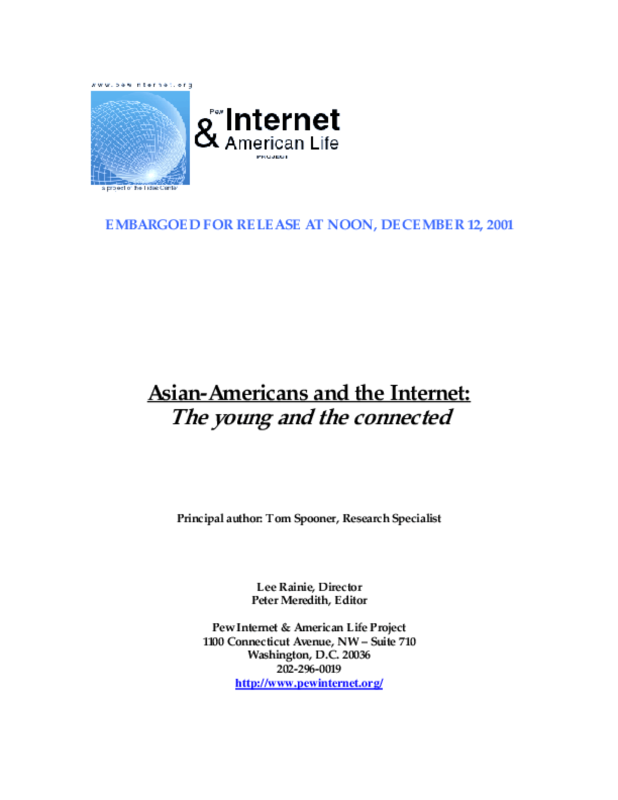 Presents findings from a survey conducted between March and December 2001, to document the use of the Internet by English speaking Asian Americans. Looks at differences in online use by age, gender, education, and economic status. Copyright 2001 Pew Internet & American Life Project.